Oh its lovely to go away but its doubly nice to get home !! One person very pleased to see me was my dear Lilly, my friend for 14 years. 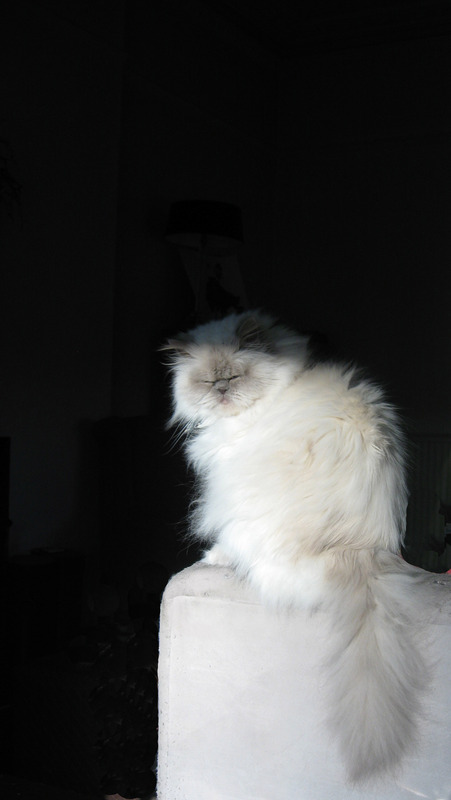 She is a lilac point Persian, very fluffy, talks a lot and has fabulous china blue eyes. Up until last June she had a wonderful companion Ferdy, I bought them together, two little balls of fluff……… sadly Ferdy passed away last year leaving Lilly quite sad, she misses him. Right now she is lying next to me purring her little head off! !